Fish Tank - 10th Anniversary! This film is a part of a Double Feature with Do the Right Thing. When two movies that are screening in the same theatre are grouped under the same thematic heading, one ticket is good for both features when viewed back-to-back on the same day (except as noted). Katie Jarvis, Michael Fassbender, and Kierston Wareing. 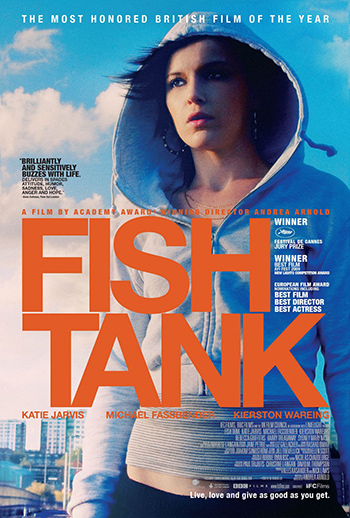 Director Andrea Arnold found lead actress Katie Jarvis on a metro station platform yelling obscenities at her deadbeat boyfriend. Arnold channels this fiery energy into this story of a young girl, living in the same downtrodden east-of-London neighborhood as Jarvis herself, who develops a crush on her cruel mother’s new boyfriend.